Tomica's 1:38 Z GS in their Dandy line. 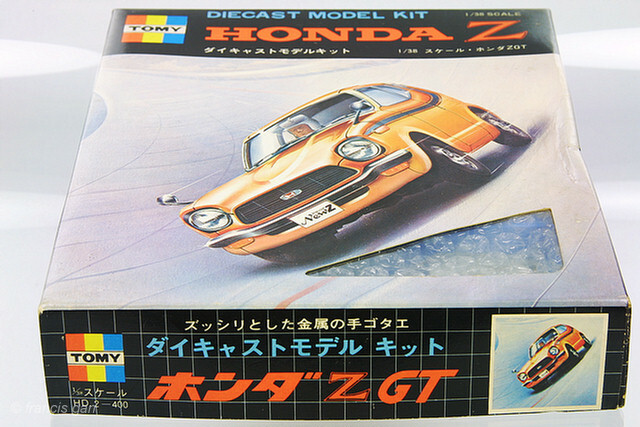 Tomica's Dandy series Honda Z GT in 1:38 scale. 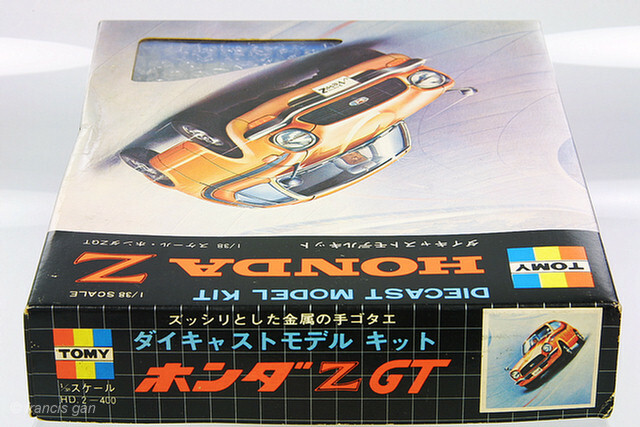 Here a Honda issued Tomica Dandy Honda Z GT. 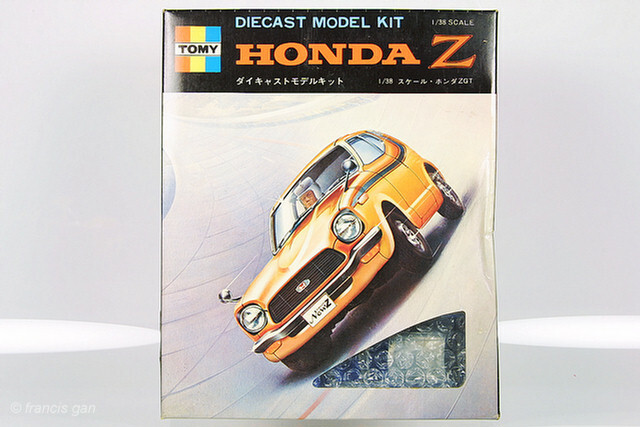 As with other Honda issued Tomicas, there are additional details on this car not found on the regular Tomica Dandy version. 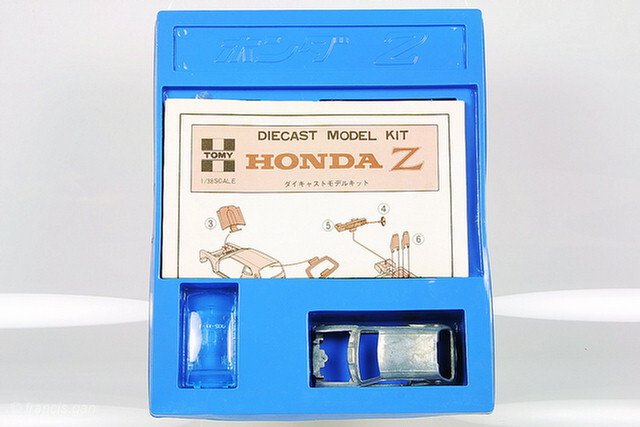 A very rare bare metal kit version of the Tomica Dandy Z.